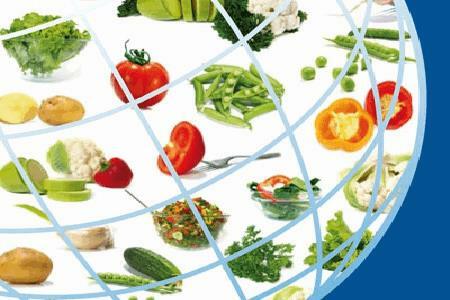 How Is JIFSAN Helping To Modernize Global Food Safety? As the supply chain continues to expand its global reach, the need for improved food safety at every stretch of the globe becomes greater and greater. Here, Janie Dubois, laboratory program manager for the Joint Institute for Food Safety and Applied Nutrition (JIFSAN), answers Global Food Safety Forum (GFSF) Chairman Rick Gilmore's questions on behalf of Food Online about JIFSAN's efforts to improve food safety on a global level. Dubois also addresses some of the latest technologies that are improving food safety. Food Online: JIFSAN's stated mission is to "improve public health, food safety, and applied nutrition using risk analysis principles through cooperative research, education, and outreach programs." With the advent of FSMA and the FDA's mandated introduction of successive regulations, my guess is that you're pretty busy. As Lab Program Manager, do you think JIFSAN's role is as important as it was visionary when first established in 1996? Dubois: JIFSAN started small, with most of the work focusing on training government workers in risk analysis and performing some research on priority areas that FDA could not tackle on their own. Over the years, our portfolio of education and outreach activities has grown at a steady pace, now including a dozen programs offered in the U.S. or abroad in areas from primary production (Good Agriculture Practices, Good Aquaculture Practices, Good Fishing Vessel Practices) and processing (HACCP, Commercially Sterile Packaged Foods, Food Inspector Training, Laboratory Testing). With FSMA and the food law modernization ongoing in many countries, our risk analysis program has grown to include new courses, such as Food Law and Epidemiology for Risk Assessment. As one of their capacity building partners, we work closely with the FDA to align our activities with the needs that they see here at home and globally. Food Online: What are the hot areas of "cooperative research" now versus the period prior to FSMA's passage in 2011? Dubois: Microbial and chemical contaminants in food have always been a hot area, but the globalization of food trade has emphasized the need for better tools for outbreak tracking, leading to research in nanotechnology and whole genome sequencing (WGS). Food Online: How have the complexion and composition of the outreach programs changed? Are there greater international outreach initiatives? If so, which countries or regions are the main focus of JIFSAN? Dubois: JIFSAN's outreach programs have grown tremendously in response to the globalization of trade. We work heavily in Asia and Latin America, our largest sources of imported seafood and produce. We have worked with 53 different countries so far and expect this number to continue to grow as smaller countries supply niche commodities — exotic fruits, for example — that we want to enjoy in the U.S. and must therefore meet our standards of safety for agriculture practices, transport, processing, and distribution. What has changed most over time for us has been the diversity of training programs in response to the demand, and we expect this to continue to grow as well. The International Food Safety Training Laboratory is out latest new direction and it is in high demand. In my opinion, this diversification, or capacity building topics, is a good sign, a sign that the food safety systems are better defined around the globe, that governments and the private sector know what they need to achieve and seek assistance to get there. Food Online: Public-private platforms have proven to be an effective way of leveraging technical assistance. Does JIFSAN draw on support from the private sector? Would you elaborate on what forms the collaboration take? Dubois: JIFSAN is a very successful public-private partnership. Our Advisory Council is composed of business and government leaders, as well as consumer groups who work with us to establish priorities for action. But, this is not a stopping point for the partnership. On the contrary, we draw upon our relationships with the private sector for some training and outreach programs. A great example of this was our workshop on The Evaluation of Risk Factors for Foodborne Listeriosis, a meeting of experts joining forces to foresee the impacts of changes in practices. The convening power of our partnership also helps us gather resources, intellectual and financial, for various activities as well. We have a history of leveraging resources to achieve our goals. Our laboratory was made possible with significant financial contribution from the Waters Corporation and now receives technical and financial assistance from many different instrument vendors for its hands-on training workshop targeting chemical and microbial food contaminants. We now go one step further and bring our expertise and relationships into play in programs such as the Global Food Safety Partnership and Partnership Training Institute in APEC (Asia-Pacific Economic Cooperation) to deliver capacity building. Food Online: I know JIFSAN has cooperative agreements with institutions in China. Would you tell us which institutions, and perhaps elaborate a bit on what programs are offered under these collaborative efforts? Dubois: We have different types of agreements with a number of governmental and academic institutions in China. We also work under the umbrella of a number of agreements between the University of Maryland and an even greater number of institutions. Our partnerships focus on research and capacity building activities in food safety. For example, we just completed a pilot project under the GFSP on laboratory capacity building for testing levels of veterinary drug residues in meat in poultry. This project was led in China by the China Center for Food Safety Risk Assessment and trained analysts from 20 different regulatory laboratories at city, provincial, and national levels. The next step for this project is the institutionalization of the training; i.e., making it a locally-driven part of the continuing education offered to analysts in both the public and private sectors. Other examples include cooperation in research, a number of student exchange opportunities and different types of courses. Food Online: As a firsthand observer and frequent instructor in Asia, do you share the view that China has made great strides in the science of food safety and in its enforcement strategies? Do you foresee a major shift in focus in JIFSAN's work with its Chinese partners over the next year? Can you discuss a few examples of directional change that are in the making? Dubois: China has definitely made great strides and we can expect more changes to happen. Food safety is not a static field and the modernization of our food safety systems was a necessity, but not an end-point. As an instructor, I certainly meet a well-trained workforce with a new hunger for understanding the bigger picture. The biggest change that we have already seen in motion is the transfer of ownership of capacity building activities to Chinese entities. Organizations from China want to see long-term implementations of change, not one-off activities, and that is only possible when they take the baton and run with it. Food Online: Do you think that the work JIFSAN has done in China and its plans for future programs are a replicable model for other countries? How do you see its role as a recognized training center evolving as China and other APEC countries progress in meeting international food safety standards and in their own compliance systems? Dubois: China is a very different country from many standpoints — from its vast geography to the speed of its industrialization and its government structures and policies. These were some of the reasons that capacity building programs that had been successful elsewhere were not producing the same impact in China. There is a certain way of doing things that really only makes sense in China. That being said, the speed of industrialization and economic growth is certainly something that many developing countries would like to see, so the model of actions taken in China does provide a lot of lessons learned and priorities for implementation in other countries. I am glad you mentioned the APEC; China co-chairs the Food Safety Cooperation Forum with Australia and has hosted and supported many capacity building activities under this umbrella. As Asian countries increasingly trade among themselves as well as with the West, it is imperative for them to support the harmonization of food safety systems to facilitate this trade. Food Online: You run a state-of-the-art lab offering a working environment for new food safety detection technologies. Could you single out one or two new technologies that you see on the horizon that might represent a giant step forward in food safety lab work? Dubois: There are many new or evolved technologies making a difference in the food safety lab, but the biggest change going on right now is the deployment of WGS for foodborne outbreak investigation. There has never been as much interest as there is now to understand the origins, evolution, and scope of foodborne outbreaks. With the globalization of the food supply, a new strain of pathogen in one country can result in an outbreak in multiple other countries and we need to be able to know that it is happening. The old technology, Pulse-Field Gel Electrophoresis, is not powerful enough to give us the information we need so we expect to see WGS grow rapidly. For chemical contaminants, we are seeing more and more screening kits on the market, as well as multi-tasking, or multi-residue, confirmation methods using triple-quadrupole mass spectrometry. All this change brings about needs for a specialized laboratory workforce and this is not an easy task in many, and sometimes understaffed, regulatory laboratories. For developing countries, one of the biggest challenges arising from new technologies is the requirements for infrastructure. For example, you don't just need electricity anymore, you need super-stable electricity that will not fail and is affordable enough to leave instrumentation running 24/7. Food Online: GFSF and JIFSAN have been working together to design an e-course load in Chinese for food company managers and other interested parties. Would you identify the courses that you think are most needed in China at this point in time? Dubois: I believe that online is an effective means for teaching broad concepts and scientific information, and not such a good vehicle for "the tricks of the trade" or the experiential information. Consequently, we have decided to focus this block of educational material on the requirements of FSMA in the areas related to the demonstration of safety through laboratory testing and related controls. This material will complement the guidance offered by the FDA and a number of training programs being designed by alliances created to address the needs for capacity building. For JIFSAN, there is a particular interest in training small and medium enterprises (SME); large corporations have access to a host of resources to interpret the rules and even discuss implementation plan, but SMEs that are not key suppliers to large corporations are on their own, so we want to focus on helping their managers understand the new requirements. Food Online: Are you optimistic about the future of food safety in the US; in the global supply chain; and, specifically in China? Please give us a few examples. Dubois: I am very optimistic about the safety of our food and have always been. If you think of it in volume, you have to realize that eating is the only activity that we all do every day, most of us many times per day, and yet very few of us know someone who's suffered life-long injury from food. The challenge of the globalized food supply is relatively new, but has not resulted in any significant change in the sources of our foodborne outbreaks. Our safety systems are working; they may not be perfect, but they work. We will continue to improve them over time through collaboration, partnerships, and the drive for these efforts is here and strong, so I am very optimistic. In China specifically, we have seen a large effort to address the supply chain and control of the food all along its journey from farm to table and we see ongoing efforts to strengthen the system. This is very encouraging since adulteration was a significant concern and the regulatory agencies recognized this weakness and are taking steps to deal with the problem. We have to remember that we bought our food directly from the farmer, who was very proud of his crops, not so long ago. Now, our food goes through a lot of deals and hands before it reaches us so we have a lot of people whom we need to trust. Janie Dubois manages the JIFSAN lab program at the University of Maryland. The Institute was established between the FDA and the University of Maryland (UM) in April 1996. The Institute is a jointly administered, multidisciplinary research, education, and outreach program.